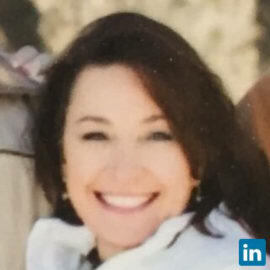 Stephanie Veck is the Director of the Colorado Workforce Development Council (CWDC), a dynamic public-private partnership that is a Governor appointed, business-led, coalition of industry, state agencies and their local system partners. This coalition works to create an integrated talent development system that meets the needs of students, job-seekers, workers and businesses by aligning education, training, workforce and economic development efforts with the needs of industry. Stephanie serves on the Governors Business Experiential Learning Commission, the Denver Public Schools Career Connect Board, and the Colorado Advanced Manufacturing Alliance Board; she is an Executive Board Member of the Colorado STEM Champion’s Board, and the Colorado Companies to Watch Legacy Board. She has become known as a national leader in cross-agency and public-private partnerships, sharing Colorado’s work with national audiences through a variety of outlets. A Colorado native and entrepreneur, Stephanie most appreciates the opportunity to work with great volunteers and business leaders throughout Colorado in implementing solutions for our future. The vision of the CWDC is that every Colorado business has access to a skilled workforce and every Coloradan has access to meaningful employment, resulting in statewide economic vitality. To accomplish this goal, all stakeholders must work together to face the always changing challenges of our labor and economic markets; convening these collaborative partnerships is the role of the CWDC.